It's almost time for yet another Republican primary debate. The candidates, the press, and the national Republican Party are currently bickering over the format for future debates, but in the meantime, Fox Business Network will host the fourth candidates' forum of the season on Nov. 10. The primetime debate will feature just three moderators, most notably FBN staple Neil Cavuto. 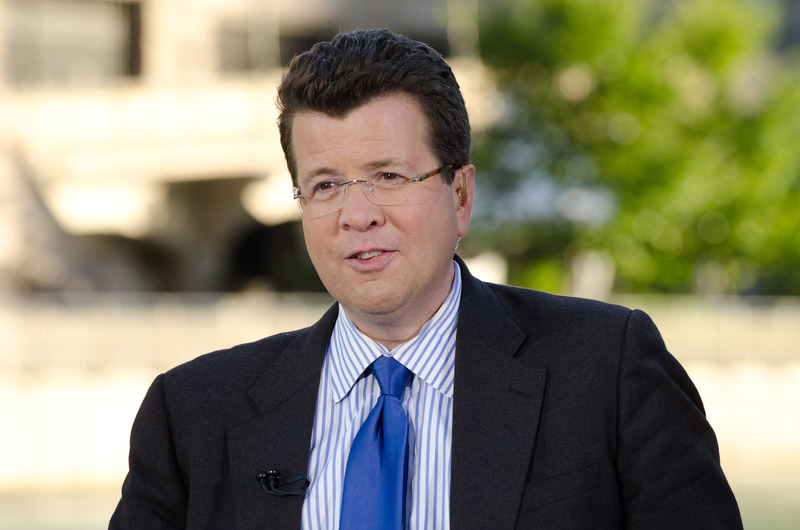 Unless you're a die-hard fan of FBN or Fox News, you may be wondering: Who is Neil Cavuto? Ostensibly, Cavuto is Fox's go-to correspondent for business news. He hosts Cavuto: Coast To Coast on FBN and Your World and Cavuto on Business on Fox News, and serves as senior vice president and managing editor for both networks. He was actually a founding anchor at Fox News, having joined the network at its launch in 1996. He has since received praise for his business reporting. The Wall Street Journal once referred to Cavuto as "the best interviewer in broadcast business news." But Cavuto isn't just a dry business journalist. He's been on Fox News for almost two decades, after all, and is well-versed in the type of "reporting" that makes Fox News the very special network that it is. He's made flatly incorrect statements on air, such as claiming on multiple occasions that Fox News covered the Million Man March (in reality, the march occurred a year before Fox News even existed). He's gleefully made fun of Caitlyn Jenner's transition and once suggested that Black Lives Matter should be labeled a hate group. Cavuto also claimed, incorrectly, that the Planned Parenthood sting videos were never edited before they were released. For these reasons, Cavuto is probably the Republican Party's ideal host for the next debate, as he seems to accept the party's fundamental world view. But the GOP candidates would be fools to assume that Cavuto will give them an easy time on the debate stage Tuesday because despite Fox News's disgraceful journalistic record, the channel's pundits have been surprisingly eager to ask tough questions at Republican primary debates. The network received rave reviews for its handling of the first GOP debate this year, with even The New York Times going out of its way to praise the Fox moderators. Cavuto's reporting has often been dishonest, angry, and bigoted. But don't assume he'll give the candidates a pass Tuesday — he may, in fact, give them a run for their money.